Google is the most used search engine in the world, so we can call it the king of search engines...Lol! We all know that the owners of these search engines (no matter how small) make money from them, if not they would have closed up along time ago. Have you ever imagined how fun it will be to make your own money from this king of all search engines? We recently published an article on the easiest ways to make $400+ monthly as a student, and we are here with this now. In this article, we will be showing you (some of) the easiest ways to make a living off the largest social network in the world. - Blogging: We have always talked about blogging, and will ever be. This is because of the dozens of opportunities and ways blogging has created for me. You can be turning in as much as $1,500 monthly as a blogger [see more here] and yet have other jobs. Now to make money as a blogger, you need to be a SEO guru,except you have a lot of money to invest in ads. Our blog, InfoGuideAfrica.com was started in the year 2017 but with good SEO strategies, we are now turning in 4000 daily visitors. It is not our first blog, and of course we have other traffic sources, but a good number of them come from the search engines. One of the advantages of the search engine traffic is that if is unlimited. With social media, you are reaching out to the same circle of followers and they would rarely purchase your products or services twice but it's not the same case with search engine traffic. 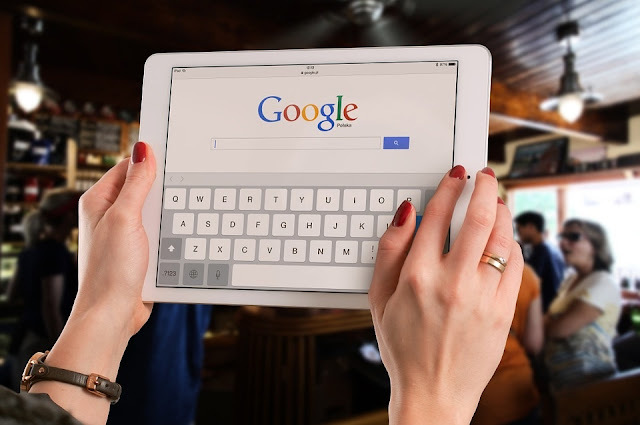 With the later, as long as you are still tanking for the keyword, plenty other search engine users will keep on discovering your sites and becoming your fans. As they see your products and services, they also will patronize you. - Vlogging: Vlogging or YouTubing is also another awesome way to make money from the Google search engine. We recently published an article on how you can make as much as $3,000 monthly from YouTube [see it here]. One of the reasons I prefer vlogging to blogging is that you spare yourself the headache of purchasing and renewing hosting plans and domain names. You just need to get a perfect video editor, neat camera (whether phone or camera) and the right approaches. Once you make your videos, if they are interesting, you will begin to rank well with them in search engine results and then you can begin to make money from them! - E-Commerce: With eCommerce, you sell your products and services online. From Amazon to the lowest eBook seller out there, they are all into eCom. The only issues eCommerce businesses face are the lack of proper sales pages and write-ups, and inability to drive proper traffic to them. Nairaland is looking for traffic, Konga is looking for conversions so you need to know what you are looking for. However, no matter which one you need, the search engine is a must for you! - Affiliate Marketing: Affiliate marketing is simply earning of commissions for referring people to make purchases of goods and services. At times they could just need to sign-up and you make your own money. It is a huge way of making money online. Some of the top Nigerian companies like Jumia and Konga all have affiliate programs which you should join. One of the best ways to generate sales for yourself is to get massive traffic to your sales pages, and the easiest way to do this is either through the paid social media ads or free search engine ads. Make a choice today! - Cost Per Action: CPA or Cost Per Action is another way to make money from the search engines. With Peerfly alone, you can be making $800+ monthly from it and I reviewed it here. With search engine traffic, you do not need to bear the headache of spending your money on ads anymore. All you do is hit publish and you begin to get traffic back to yourself. You can even run AdWords campaigns and Bing ads to help yourself rank above the competitors. There are so many other ways to make money from the search engines, whether free or paid. If you enjoyed this article, kindly drop us a comment and share! We cannot cover all the ways to make money from the search engines on a single blog post, because it may never end. To make money online, you need to be smart! Your consumers don't know you personally so whatever you tell them that you are, that exactly they will take you for.